Years later when I held the first copy of my first book, The Blue Roses, I felt the same way: blessed and triumphant. Blessed because I didn’t start my career as an author until mid-life and the competition was—and still is––so massively talented. Triumphant because I did not let all the rejections my manuscript had received shake my belief in its value. Since then I have been lucky enough to have more children born and more books published. Each time I feel the same way all over again, though with a new book I get much more sleep! As I take each new book around to signings, school visits or book fairs, I once again walk in beams of sunshine. The most exciting part of the publication process for my first children’s book, Sixteen Years in Sixteen Seconds: The Sammy Lee Story, was receiving my first email with the rough sketches for the scenes in the book. Dom Lee is one of my favorite illustrators, and it was a dream come true when I learned he would be the illustrator for my book. The rough sketches he did blew me away. It was amazing to see the words visually interpreted with Dom’s art. The next steps of the publishing process – receiving more sketches, the “dummy,” and the “F&G”‘s (Fold & Gathers) – were just as exciting. They made the book publishing process tangible for me. I also learned a lot about how words and art have to work organically in order to make a book come alive. The publication process helped me become a better writer for my next picture book. When I received the final version of my first book and held it in my hands, the book took my breath away. It was late December when Louise May called to tell me that my book would be published. That was my best Christmas gift since the Christmas morning that my daughter was born. When I saw the completed book for the first time, I thought how beautifully designed and illustrated it was. I was thrilled that my words had helped to create such a beautiful work. Even now, when I see Love Twelve Miles Long on Amazon and in bookstores and libraries, I am still amazed that I am a published author! It’s a magic moment when a book creator holds their printed book for the first time. That moment is difficult to describe, it is best experienced. As an illustrator of numerous books for kids, I experienced that moment many times. With the book It Jes’ Happened, the moment was not only magical, it was almost unbelievable. Somewhere in my past, I talked myself into thinking that I couldn’t write. I told myself that I wasn’t supposed to write, because I was not a word person. I hear other illustrators say the same things all the time. Now that I’m a published author, I warn illustrators not to sell themselves short, or else miss the magic of holding a book with their name on it as the author. Don’t miss out on your moment. Previous PostIntegrating Reading, Writing, Speaking, and Listening in the ClassroomNext PostRead three chapters from Killer of Enemies! So inspiring! 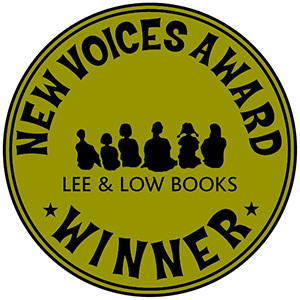 Thank you all for sharing your experience winning the New Voices award.